YoYoExpert Blog & Yo-Yo News – YYF Gentry Stein Wide Angle Shutter Restock! Fast forward 4 years later, Shutter is here to stay. 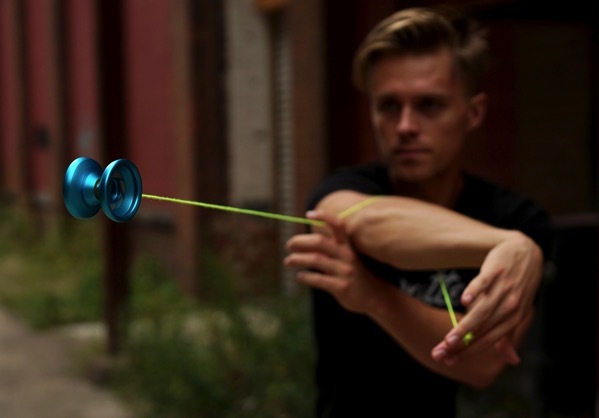 It is the go to yoyo for myself and thousands of players around the world. A few months ago though, I had a thought. What about when I feel like something a little more extreme? What about when I want to push the boundaries a little more with my tricks and performances and try something unique? Well, there was only one answer. “Let’s make something extreme!” let’s take the most well rounded yoyo on the market and tweak it a little bit. The goal was not to create something better, but something that is simply different. Shutter Wide Angle is not a Shutter replacement, but rather an addition to the Shutter lineup. For those who want to get a little more… extreme! WIDE ANGLE SHUTTER AVAILABLE HERE!